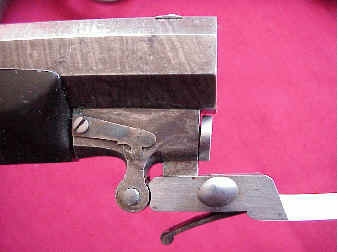 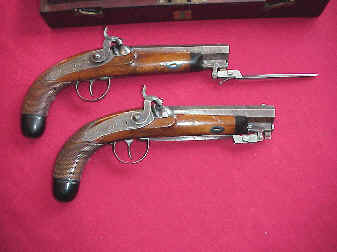 Interesting pair of percussion pistols with vicious swing out dirk by pulling back the front of the trigger guard. 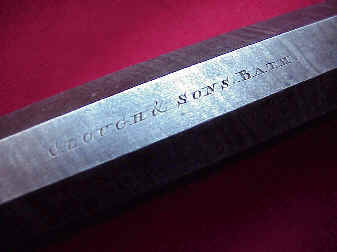 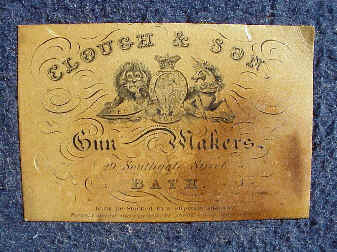 The 5" octagonal Damascus barrel with maker's inscription, cal. 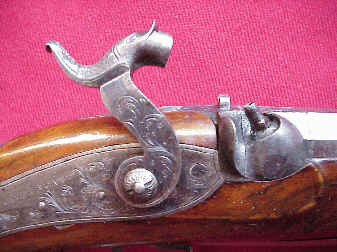 ~ .55 percussion, the furniture decorative engraved, the varnished grips crisp checkered. 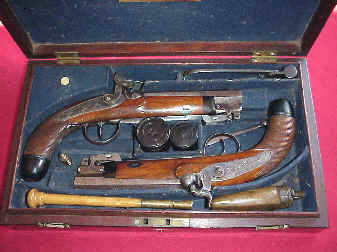 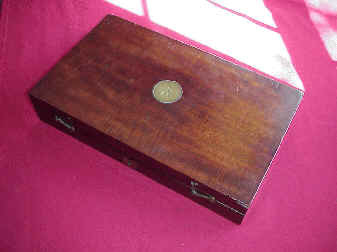 The pair comes in its original case with label in lid and lots of accessories including powder flask, bullet mold, ramrod and key.